First Appearence In Episode: Showdown in Pewter City! Brock, the eldest child in his family, started off looking after all of his younger siblings while being the Pewter City Gym Leader, a tough job indeed. However after meeting up with Ash, Brock met his father who ran off long ago and thus decided to travel with Ash on his journey while his father, Flint, took over the responsibilities of the gym and the family. Brock's main Pokémon ambition is to become a Pokémon Breeder and during his travels he has learned a lot about Pokémon and their habits, especially during his tenure assisting Professor Ivy in the Orange Islands. Brock is a very flirtatious person and acts as a father figure to Ash & May, giving them advice and hints while in battle. He is also a good cook. After the Sinnoh League, Brock started reconsidering his goal and decided to leave and train to be a Pokémon Doctor. Brock hasn't had any gym achievements but he has trained his Pokémon well and been in a number of contests and races, all of which he's managed to do pretty well in. Having evolved from Bonsly, Sudowoodo has shed it's child like persona and has become a powerful Pokémon of Brock's team. With Powerful attacks including Mimic, Double-Edge and Flail, Sudowoodo is the powerhouse of Brock's team. Brock received a Comfey when he came to visit Alola. As a Pokémon Doctor in training, he was gifted the Comfey by Nurse Joy from Melemele Island. He later used it to help calm a Kangaskhan so he could help heal its infant. Caught prior to episode: Heart of Fire! Heart of Stone! While on the boat to Twinleaf Town, Brock's Happiny evolved into Chansey while trying help a Pichu to get better. 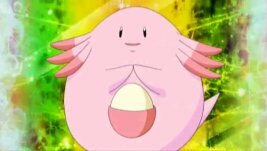 It is currently unknown if Chansey has kept the strength it had as a Happiny but it knows the move Softboiled which it used to heal the Pokémon on the boat. Brock has only met his recently evolved Steelix once. Evolving while under the control of his brother Forest, it remains loyal to Brock and follows its commands at will. It has gained strength after the evolution and remains to be an amazing Pokémon at the Pewter Gym for Brock to call upon whenever he needs it. He now has the capability to Mega Evolve his Steelix. How Brock obtained Geodude is unknown, however Geodude has always been a vital member of Brock's team, always being there for battle or for certain contests. Geodude is a faily fun loving Pokémon that is known to have fun with Pikachu and the other Pokémon on many occassions, however it was seldom seen. When Brock left for Hoenn, he also left Geodude in Forest's care. However, when Brock returned, he got Geodude back. It has many powerful moves including Gyro Ball. After finding a Water Stone and evolving, Ludicolo became a more friendly and energetic Pokémon and is known to dance on occassion. It has not been used in battle often so it's true battling power is still unknown. When Brock returned home from Hoenn, he decided to leave Ludicolo at the gym to entertain his family. Obtained in episode: From Cradle to Save! Onix was Brock's first Pokémon. Given to him as a gift from his father Flint, Onix always was Brock's first choice of Pokémon to send into battle. Due to its size, Onix had a massive advantage in battle. Onix was always taken care of by Brock, who was sometimes seen polishing Onix. However when Brock left for Hoenn, he left Onix under the care of his brother Forest at Pewter Gym, where it eventually evolved into Steelix. Brock met Mudkip through rescuing some of its family. Being the eldest in the family and the leader, Mudkip felt it was the time to leave so joined Brock on his journey. Mudkip was used whenever water was needed, either in battle or just as demonstrations and was loyal to Brock and the other Pokémon, sorting out fueds between the Pokémon whenever there were some. While in training with Ash's Grovyle, Mudkip evolved into Marshtomp. Caught in episode: A Mudkip Mission! Evolved from Lotad in episode: Take the Lombre Home! Lotad was the runt in a group of many Lotad. It did not have the capabilities to do its attacks very well unless it was incredibly threatened. However in spite of this, Brock took care of it and helped it hone its attacks. This made Lotad incredibly loyal to Brock and made it try harder whenever it was needed. It evolved into Lombre in an accidental falling into a well. Evolved into Lombre in episode: Take the Lombre Home! Brock unintentionally caught Pineco with a Fast Ball when it was about to be attacked by Team Rocket. Pineco was a bit of a loose cannon and was known to blow up on many occassions, even while Brock was holding it. Due to this, it did not have much use in battle apart from Tackling. Until it evolved into Forretress while protecting Wild Pokémon from Team Rocket that is. Golbat was only with Brock a short time but it was used more often than Zubat. When it had evolved, it was learned that its Supersonic attack was off the chart. For this, Brock kept it in tip top condition and kept training it. Through this care, Golbat & Brock earned a close bond, with Golbat staying at Brock's side while he was sick and being there. Eventually it evolved into Crobat to defeat Team Rocket. Vulpix was an incredibly particular Pokémon, only eating food that either it's original trainer, Susie, made or that Brock made. Through seeing the care that Brock went into in looking after Pokémon, she decided to let Brock look after it. Brock was often seen grooming it and sometimes used it in battle, mostly however in training with Ash. Vulpix, while a little bit spoilt, did enjoy playing about with the other Pokémon. Eventually Brock met up with Susie again and decided that Susie should keep Vulpix again. Brock caught Zubat while outside of Mt. Moon and used it in several battles with Team Rocket. However in its extended tenure on Brock's team, it was seldom used. However when in Johto, Brock met a trainer who also had a Zubat. Brock decided to use his Zubat to impress the trainer, who was also a Doctor, with Zubat's Supersonic abilities. However in doing so, while defending from Team Rocket, Zubat evolved into Golbat.